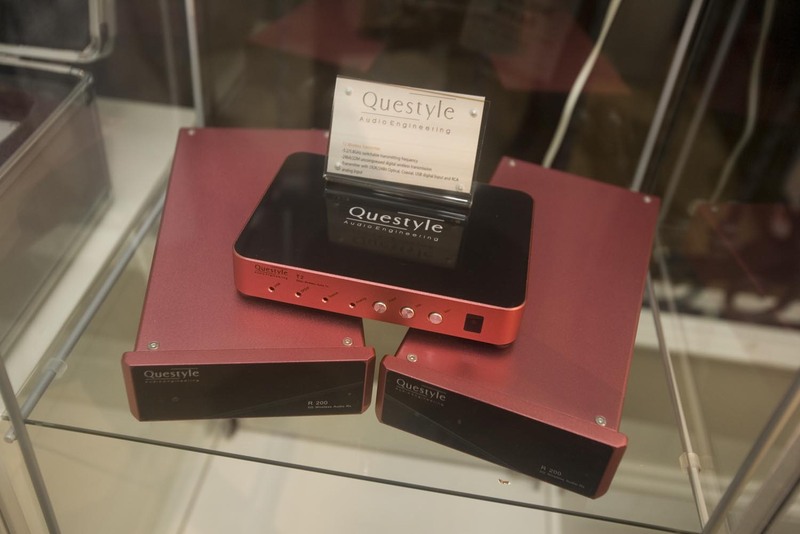 The Questyle Audio room at CES 2015. 19 photos. [I apologize for some of the photos being blurrier than they should be. I was distracted]. 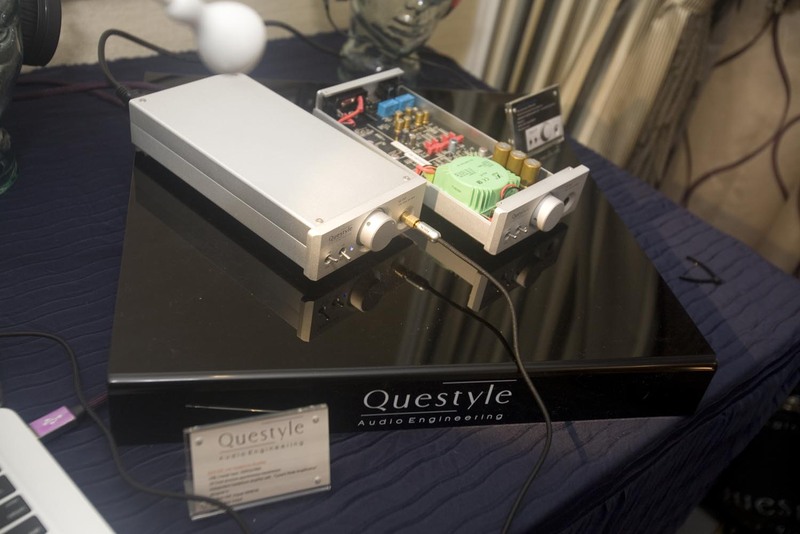 At CES 2014 in the larger Lamm Industries room, Vladimir switched between their new LP2.1 phono preamplifier and their also relatively new LP1 Signature preamplifier. 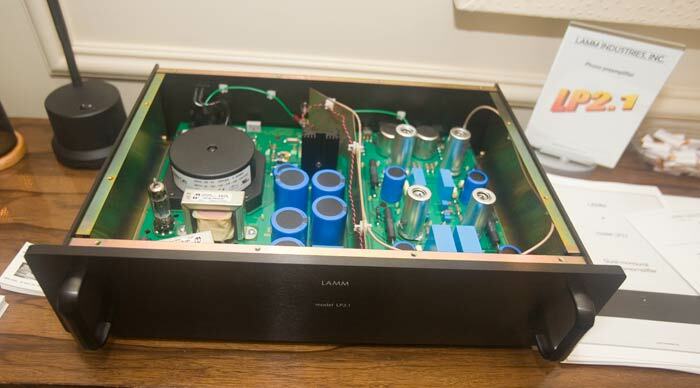 The system was the Lamm ML3 amplifiers on the Verity Lohengrin speakers. 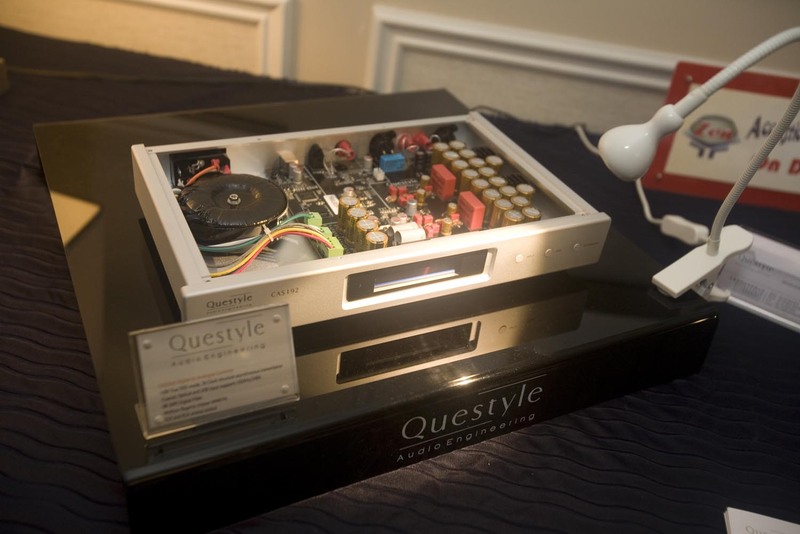 The source was the TechDAS turntable. 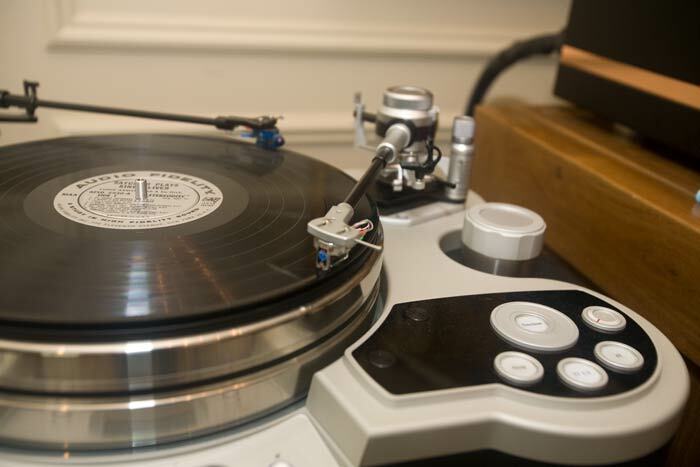 As I have continued to reflect on what we heard, the LP2.1 still seems like an amazing value, albeit the LP1 Signature an obvious choice if you have the money to spend. 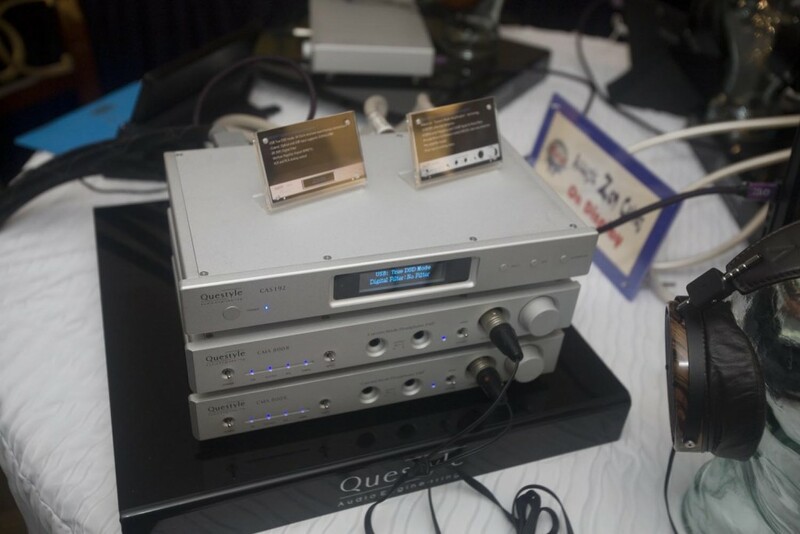 As most of the multifarious competition continues to charge more and more outrageous prices for mediocre performance, new high value phono preamplifiers take their place. 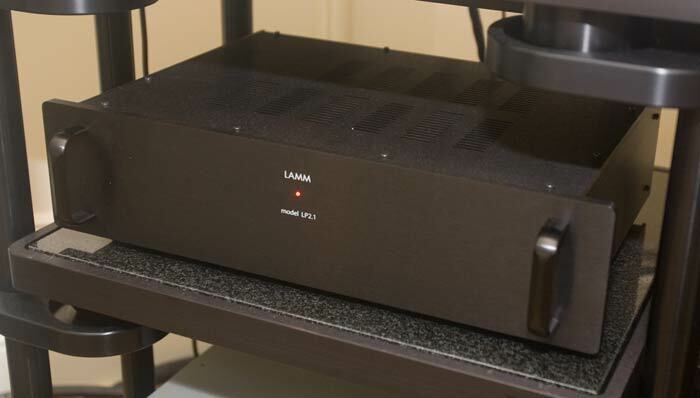 And all the while, the predictably high value Lamm LP2, now LP2.1, from a well-known, well-reviewed brand, just keeps on providing excellent music for your audiophile dollar, with the LP1 Signature continuing this tradition up into the stratosphere of phono preamplifier performance space. 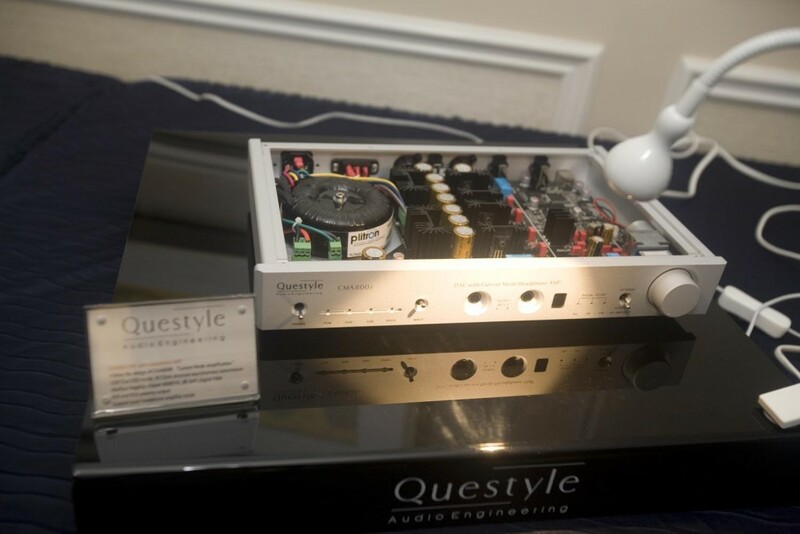 Below are some photos of the static display of the open chassis LP2.1. As usual, I couldn’t decide which was best, so I included several. JV’s $20K speakers on up. This year JV says he is doing something different. He only reviewed a handful of rooms, what he feels were the best, and it is really unclear whether this is all there is of his show report or what. After reading the report in depth I now think ‘this is it’ and that JV did not have a lot of time at the show, nor time to spend on the report. Still, I find we are in broad agreement about many of the details of the sound in most of the rooms, but sometimes not so much about what the details signify in the bigger picture. 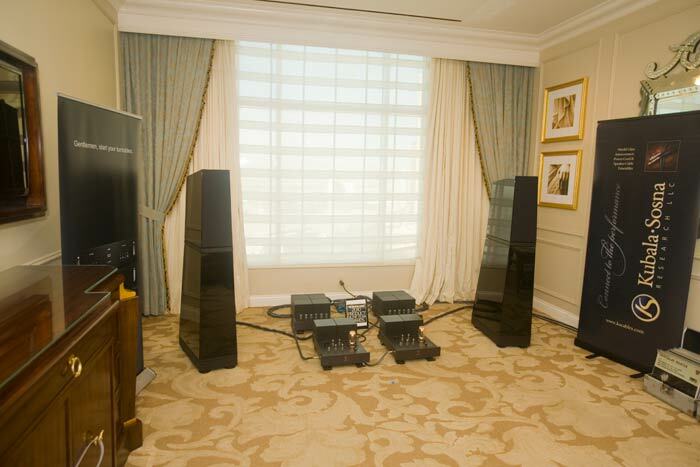 For example, we both feel that the Magico S1 and S3 systems are sounding more musical than systems with most previous Magico speakers. 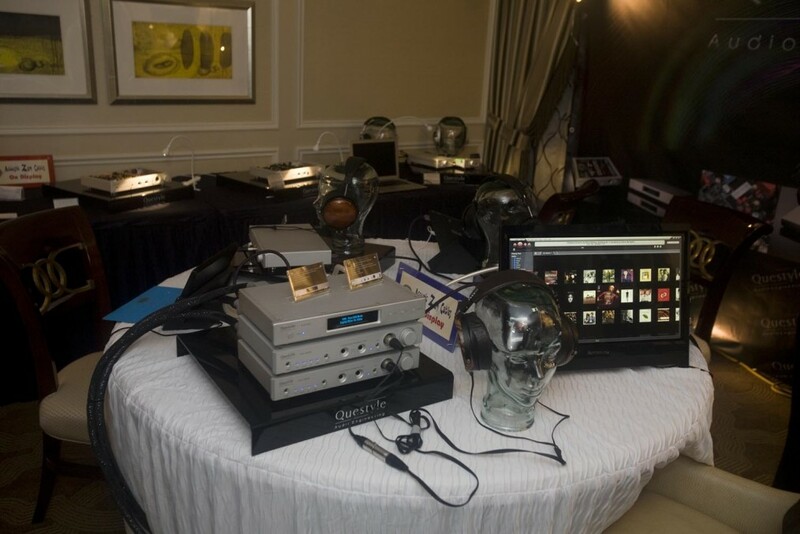 But he sees this as a conscious move by Magico to make more forgiving speakers in order to reach a wider market, and I see it as [and sincerely hope that it is] just an improvement in efficiency of the speakers that allows for more musical amplifiers to be used with them. Given the set of rooms that JV actually heard [with the proviso that we did not hear the big Focal speaker room], I think we would agree with his rankings except to put the Cessaro Chopin speaker room ahead of the MBL room. 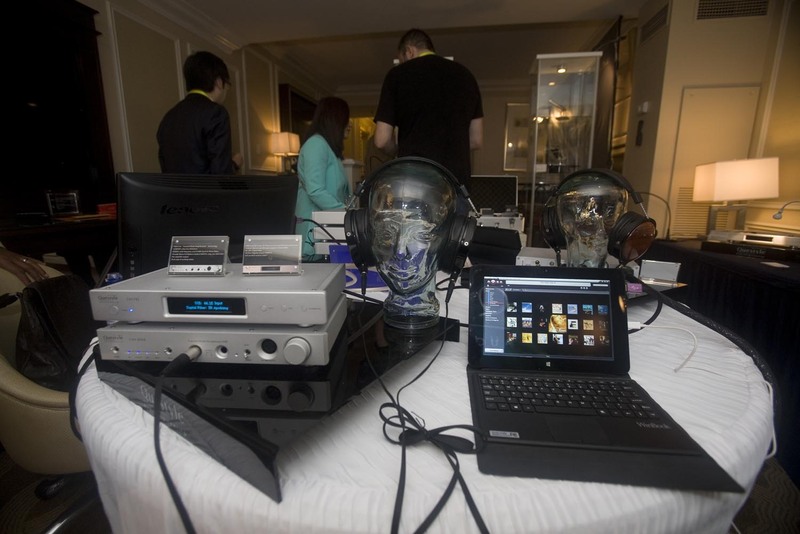 We posted a four part CES 2014 show report with many rooms JV did not cover. JV thought this was the 3rd best of the show. 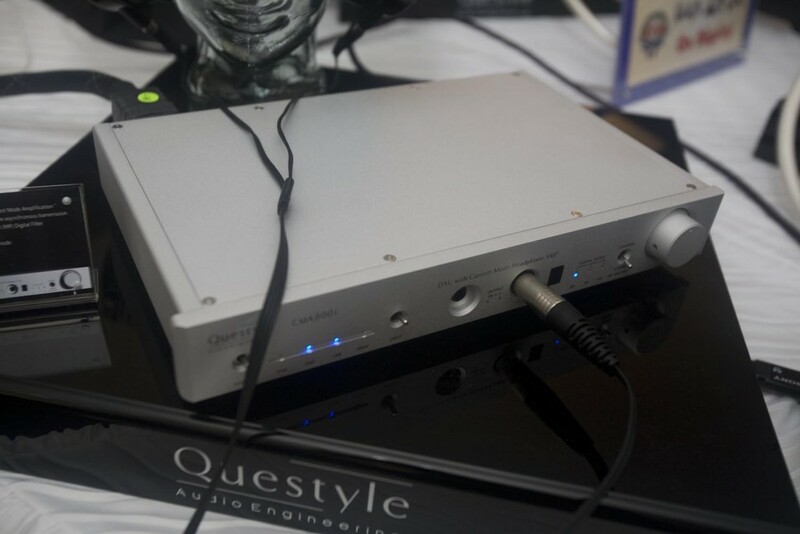 It was OK, but compared to their top of the line gear they usually show with, I thought it was missing a little of that sparkle [air], some of the harmonic color [typically quite good for solid-state], and the micro-dynamics. The liveness was not quite there. Still good – still MBL – but a more reasonable sound at a more reasonable price. JV thought this was one of the two best systems and goes into some detail about the sound. 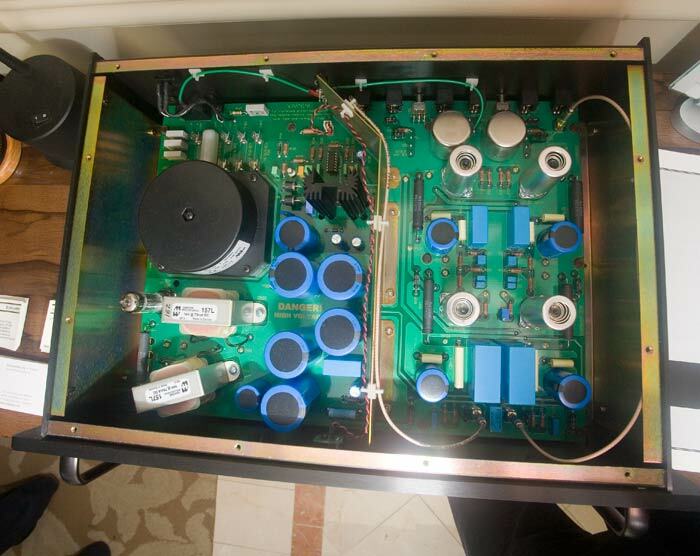 Note that his choice of the top two systems both had VAC electronics. I also have noticed that the price of VAC has gone up a bit since the last time we looked at their gear. It is no longer ‘reasonably priced’ [sorry if I misled people saying it was]. 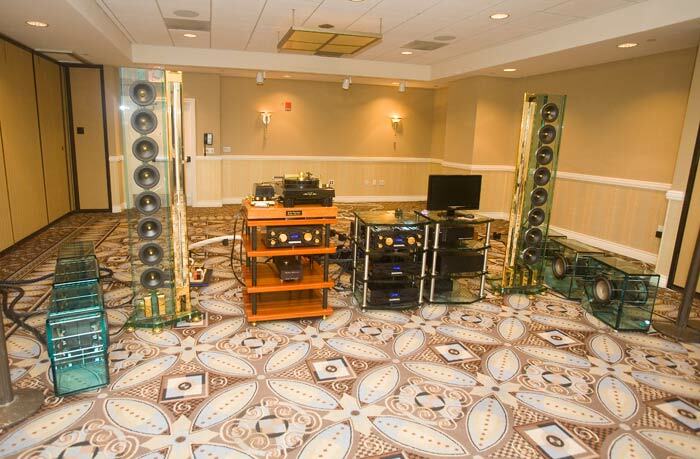 The speakers did disappear pretty nicely, we do agree on that. JV again: “Even the great Focals, and they were great, sounded more like “box speakers” than this astounding ribbon/cone system”. Well, considering that these Perfect8 speakers are not box speakers, it will of course be true that all box speakers will sound more like box speakers than they do [unfortunately, big speakers like the Focal, Wilson, Rockport, etc. who lay on the cabinet thickness in the attempt to make them ‘more better’ fail especially badly at not sounding like box speakers. Kharma and Von Schweikert do better. Open baffle hybrids like the Nola also do well. 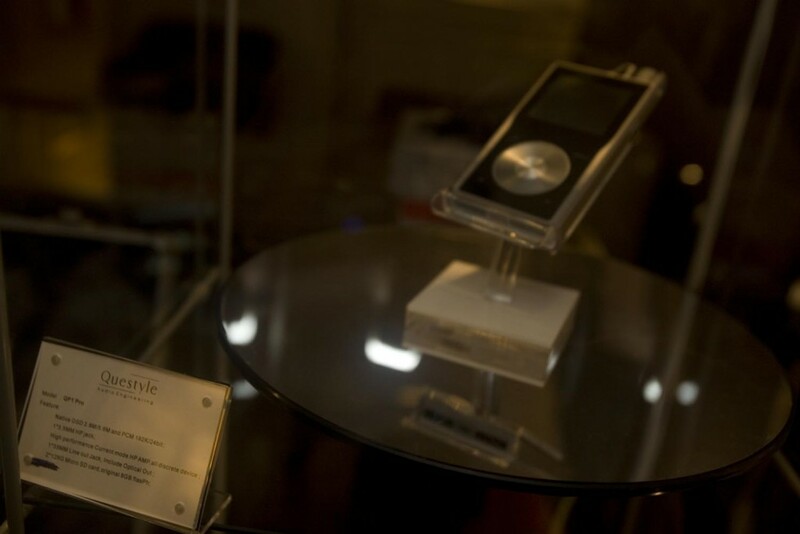 And, of course, the speakers using aluminum and carbon fiber do particularly well at not sounding like box speakers – even though they all, you know, actually ARE box speakers. He just goes on to say that he really enjoyed the sound without any further detailed analysis. Our opinion is detailed in Part I of our show report already posted. The short and sweet, is that the overall sound was just a little too wishy washy in the mids and discontinuous in the soundstage and other tiny little things that would just niggle us to death. 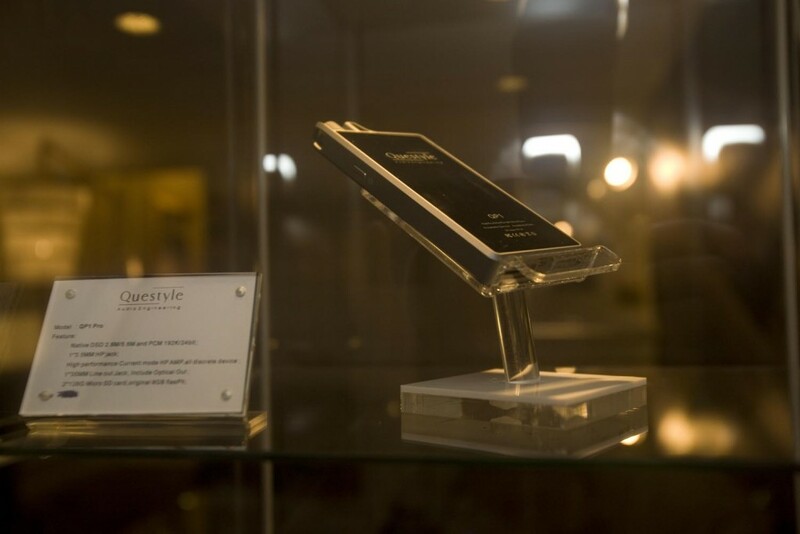 JV … “so-called Elegance Line”. Made me laugh. I so relate to the waste of valuable brain cells required to keep up with all the manufacturer product category names and their incessant changes. Analytical? Yeah kind of [also read this as ‘transparent to upstream gear’]. 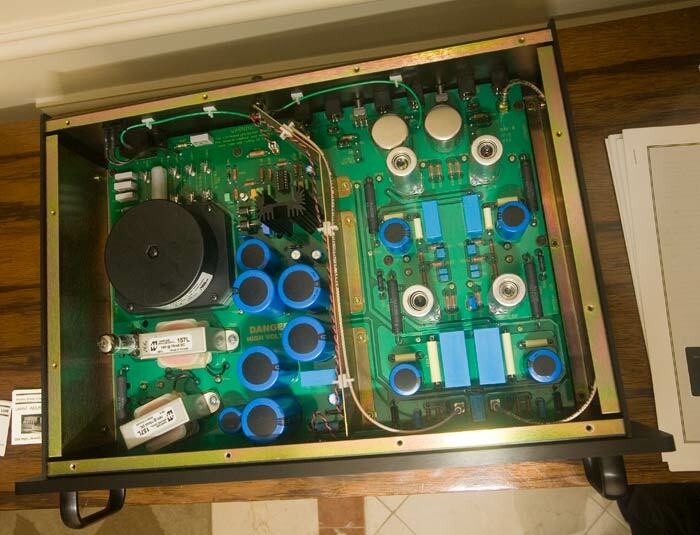 So that is why we all put tube gear on them [he mentioned the need for rich timbre?]. Typically Lamm and Tenor. 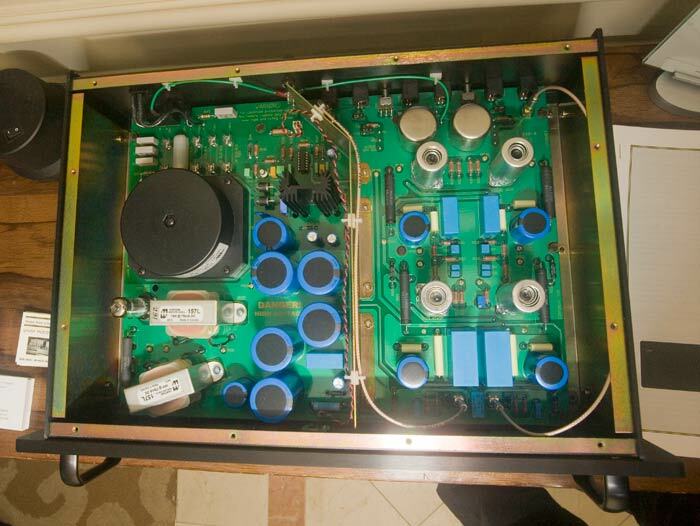 Match made in heaven and some of the great amp / speaker pairings in history. 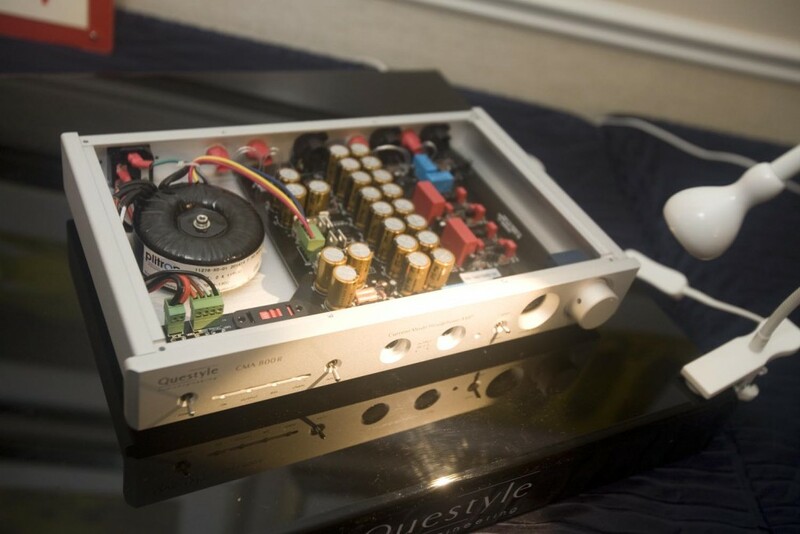 Seriously, do you want your ‘musicality’ to be built into the speaker, and you are kind of ‘stuck’ with that sound for as long as you have that speaker? 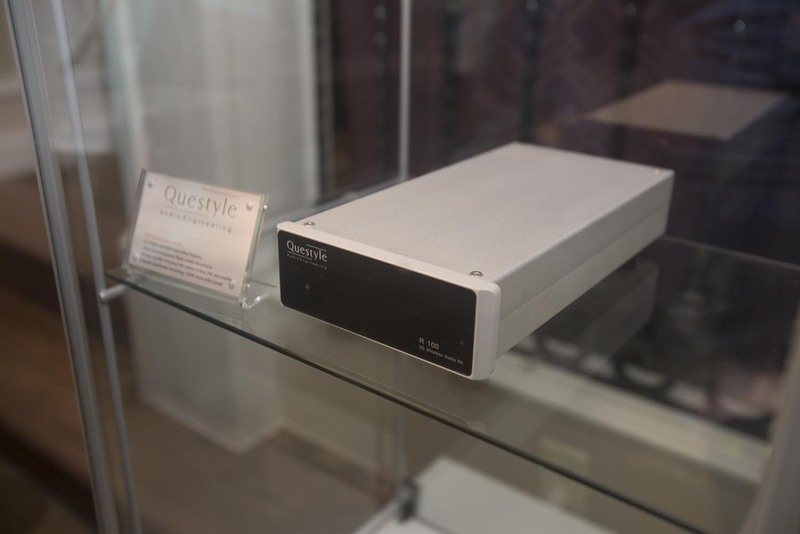 or do you want your speaker to be transparent to upstream gear so that you can have a variety of sounds for your system, depending on upstream gear? Just askin’. 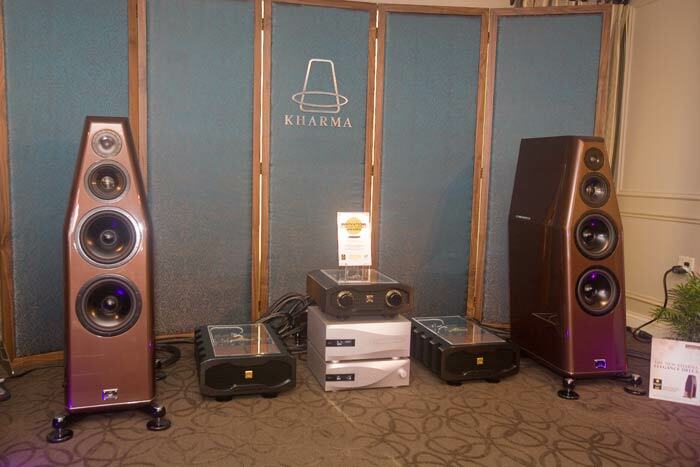 Newish Kharma speakers are designed for solid-state gear [specifically theirs, naturally] . 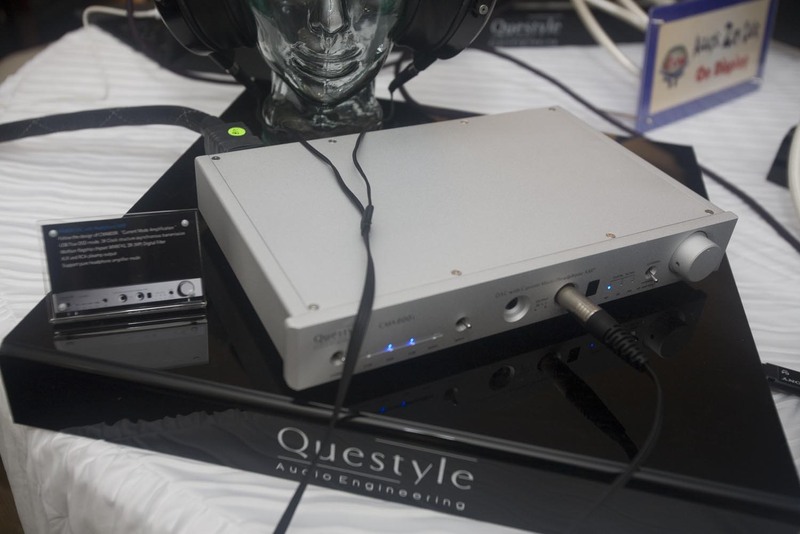 One of the most musical solid-state driven amp / speaker pairings you can buy. Like early Magico??? Sorry, JV, I just can’t quite get there…. this is so bizarre and we’ll have think about what exactly he means by this. OK, we agree with much of what he said here about the sound…. though I am personally at a loss as to what exactly to attribute the change to. 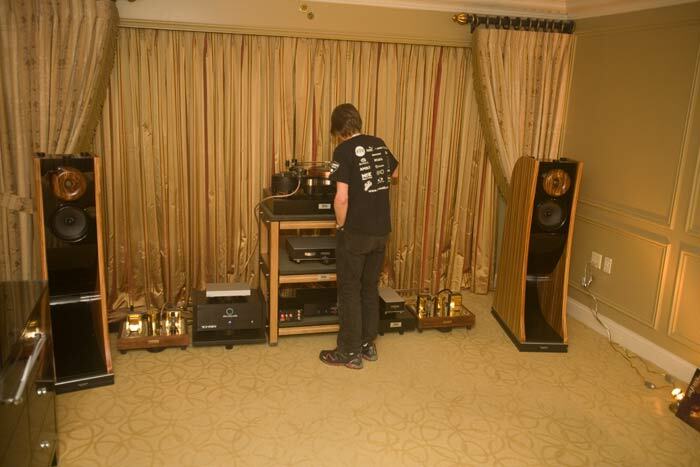 This room has certainly gained all this with respect to last year’s system at THE Show. Looks to be about the same upstream gear [Sorry. Just in one of those slacker moods]. 🙂 You go, JV. Big dark secret… *exposed*. So many people love these tweeters with some kind of misplaced obnoxious emotional fury. They are just tweeters with problems like most other tweeters, you guys. More than their share, I think, sometimes. This is not my sense of what is going on at all. They are first and foremost much easier to drive than the previous Magico speakers for the most part. 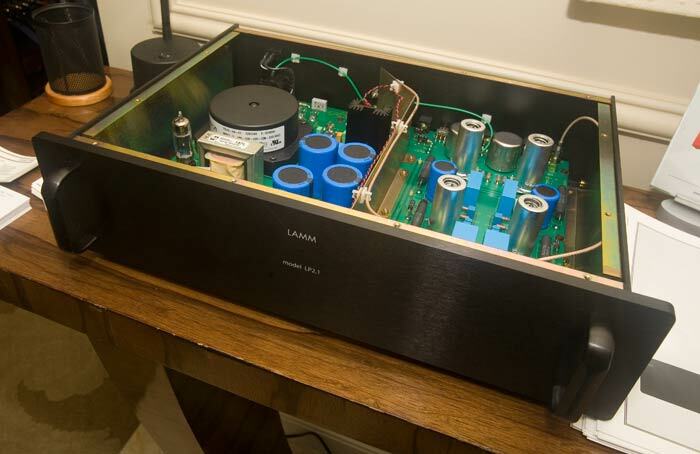 Reportedly, the Lamm ML3 at 32 Thor-blessed watts drive these speakers. 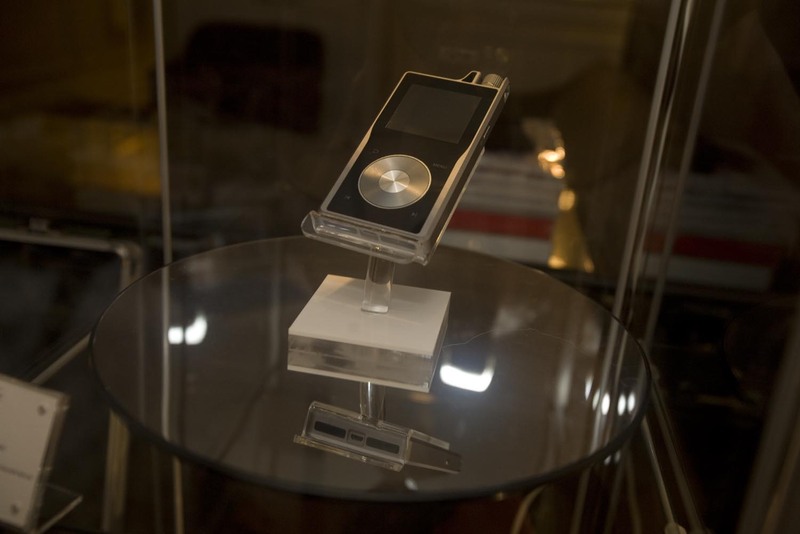 If we [and we did] call those previous speakers soulless, it was not because the lacked ‘natural color’ or were ‘lean’. It was because a) they were so hard to drive that the notes were flattened out [anti-bloom] with attenuated attack and decays that made it artificial and boring sounding and b) the hugemongous amps required to drive the speakers were by their nature cold and – well, they had issues. 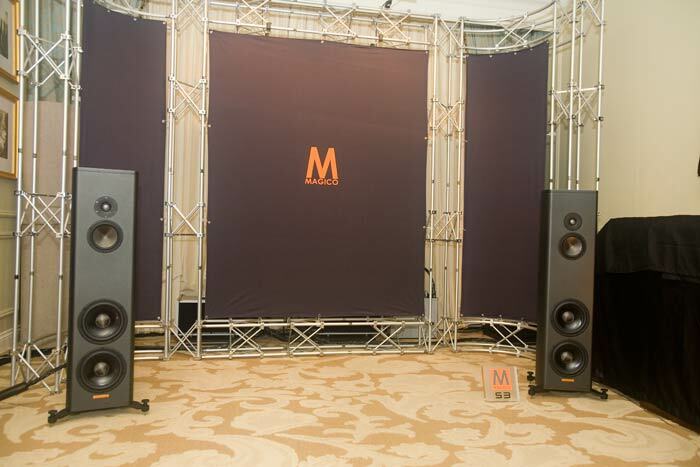 So, making the speakers more efficient would, by itself, result in the same differences JV attributes to a conscious decision on the part of Magico to make their speakers ‘more appealing’. 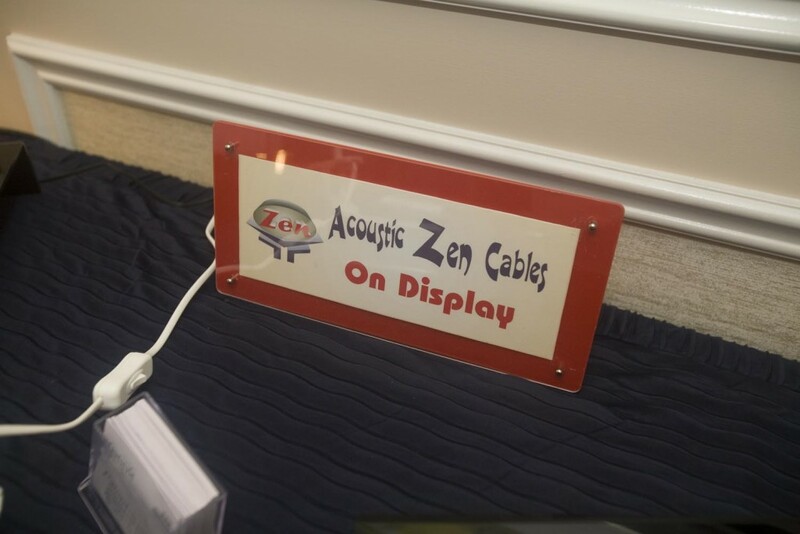 I hope they did not make the speakers, essentially ‘sweeter’, because, well, we like speakers that are transparent to upstream components, not ones that walk all over the signal with their own sound. 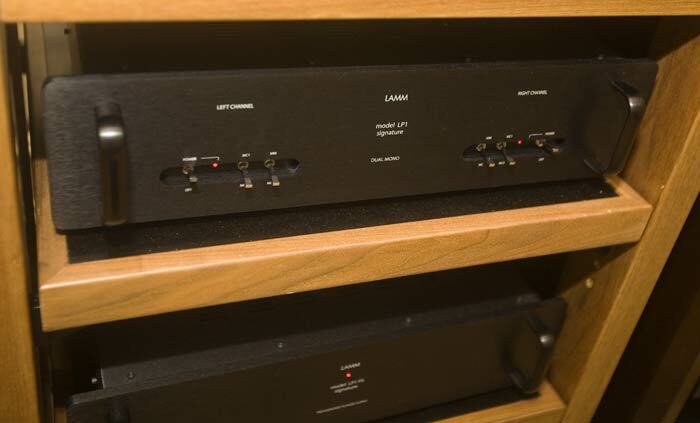 I’d like to hear the S3 on a different system before I can really place these sonically in the Magico speaker family – but I think that JV is right that Magico took a step further, but that it was too big of a ‘step further’. 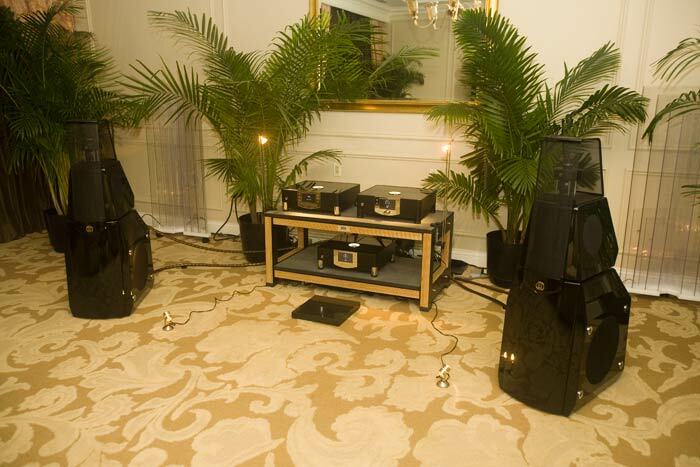 Missing too much of the eager midi-dynamics and inner-detail that the S1 would have had in the same room, that was my impression of the sound in this room. 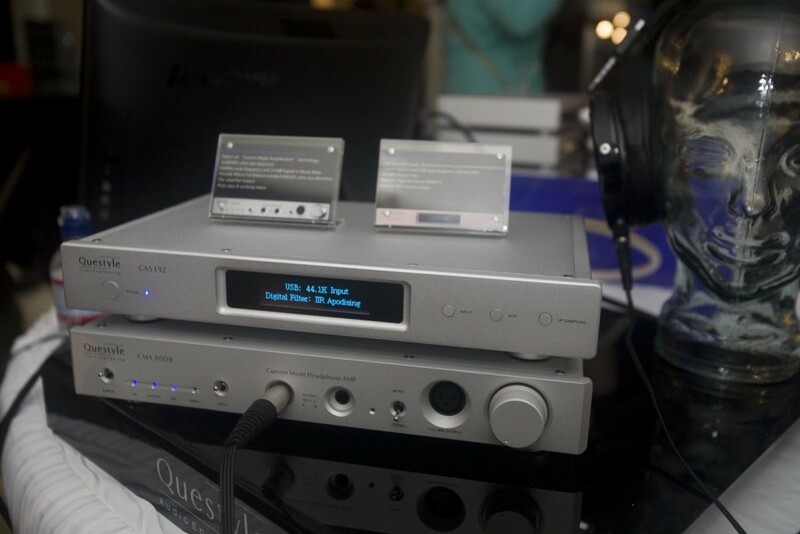 Soulution’s signature sound has not changed re: these new components, at least from what I heard. JV goes on to talk a tiny bit about several rooms. If this is all he gets out of listening to horn speakers, trying to hear horniness and integration issues, then he is missing out on a f-load of what goes into making a good sounding music reproduction. Much better dynamic envelopes of the notes and a natural excitingness that other designs can usually only look at in envy. Hello? 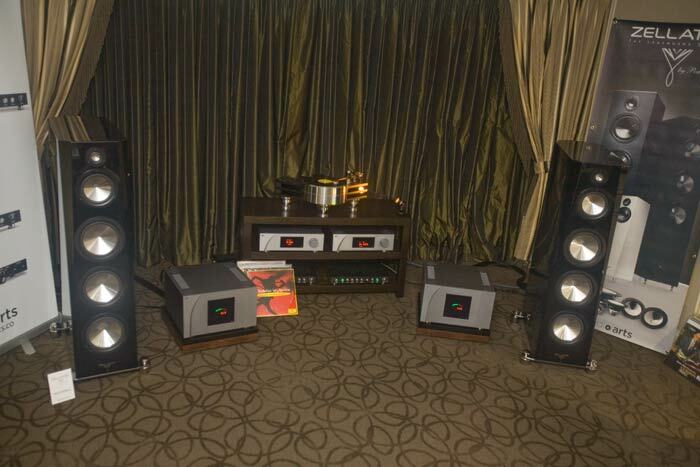 We liked this sound quite a bit as seen in our show report a few posts back. If you want to talk about integration issues [i.e. 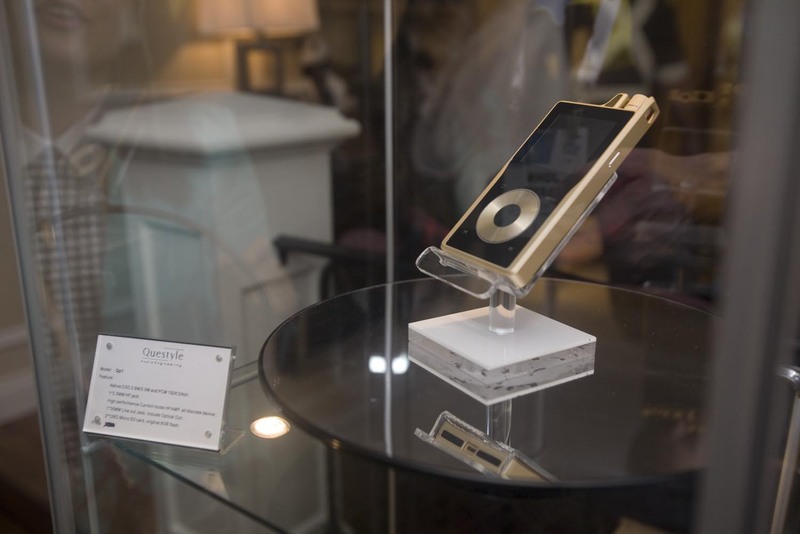 “of a piece”], then lets talk about JV’s choices for 1st and 2nd best of show this year. No? We could go on but I think you see how JV’s pre-conceptions about horn speakers kind of prevents him from writing as adroitly about them as he does about other kinds of speakers. 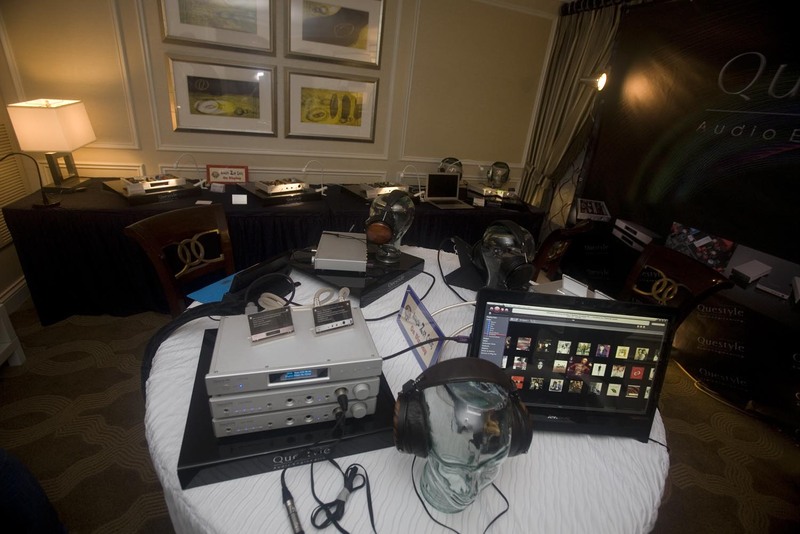 JV: ” a little compression on hard transients at very loud levels aside, were in the running for Best of Show”. I heard lots of compression on everything. Something was wrong here, and looking forward to hearing these at the next shows. [I had no idea they were this much. I had assumed… something much less]. 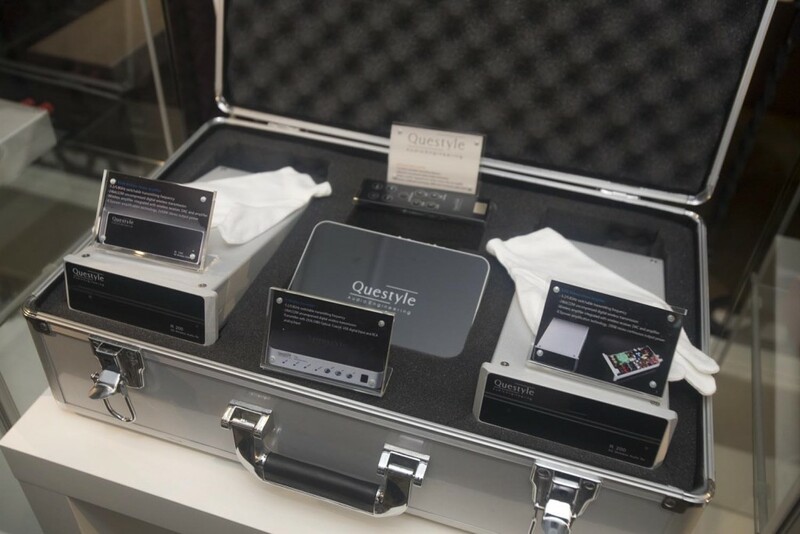 I just thought they were more musical and transparent than expected, but had been evaluating them with respect to an expected price of around $20K. Oops. 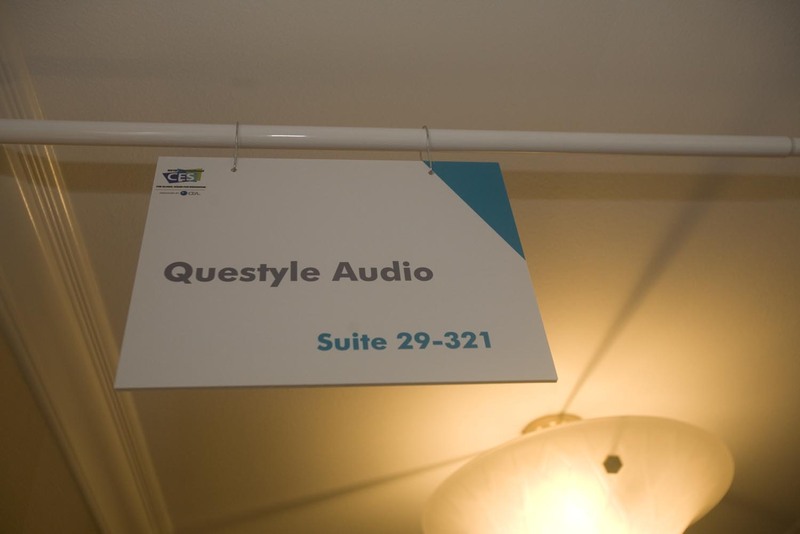 Did you notice that JV did not say anything about the two SoundLab rooms, the two Lamm rooms, the Acapella room, nor the Marten room? Did he, uh, just figure that Mike & Neli were going to cover those rooms [even though we have not been dealers for SoundLab for years and have been quiescent about Acapella ]? Anybody else still getting sticker shock at each and every one of these shows? Holy Great Recession Batman. There’s some weird jujus going on in dealership land, too, and can’t help but think what the high-end audio industry does best is embarrass itself with respect to the general public.